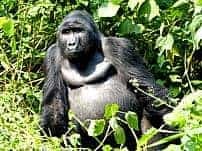 When visiting Lake Kivu, we recommend combining it with a gorilla and primate safari to Volcanoes (Parc National de Volcans), Nyungwe, Akagera and a city tour of Kigali. You may optionally extend out to other wilderness areas of Gishwati-Mukura or even extending out to the exotic spice island of Zanzibar or Lamu, or even Mombasa. 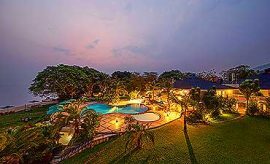 The below 11 days - 10 nights sample Lake Kivu trip idea itinerary recommends spending 1 night in Kigali, 2 nights in Akagera National Park, 2 nights in Volcanoes National Park, 3 nights Lake Kivu, and 2 nights at Nyungwe National Park. 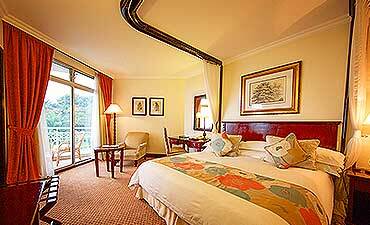 If you are looking for a deluxe resort with good facilities and amenities, we recommend Lake Kivu Serena Hotel. 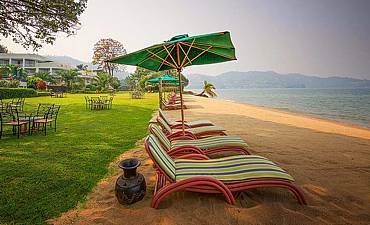 The value accommodations are Cormoran Lodge (7-log cabins) and the 34-room Lake Kivu Hotel. 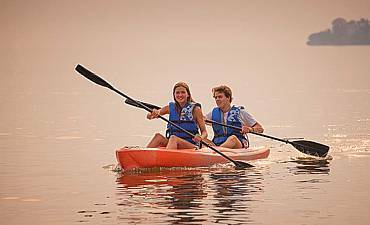 At Lake Kivu, you have the option of going on bird walks, kayaking, windsurfing, jet-skiing, traditional fishing, visiting tea and coffee farms, Munezero boat cruise, cycling, Congo Nile trail hikes etc. If you intend to vacation in Lake Kivu, you can safely choose the dry seasons as the best time to visit. The daytime high temperatures average around 27C (81F) in the warmest months of August - October. ARE YOU PLANNING AN AFRICAN SAFARI TO LAKE KIVU IN RWANDA? HAVE YOU VISITED LAKE KIVU FOR AN AFRICA SAFARI IN RWANDA?